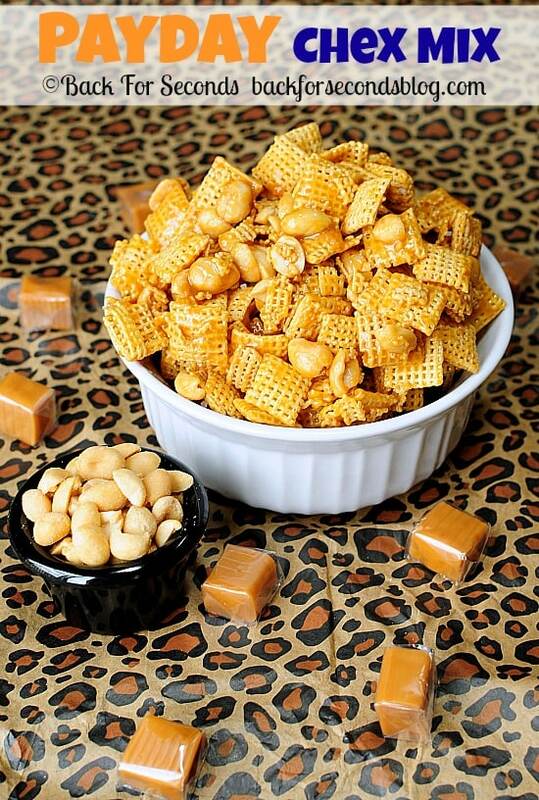 If you love when salty and sweet come together, you will love this Payday Chex Mix! This snack takes just 5 minutes and 4 ingredients to make and tastes just like the candy bar. It’s an easy dessert recipe that takes about 5 minutes to make. 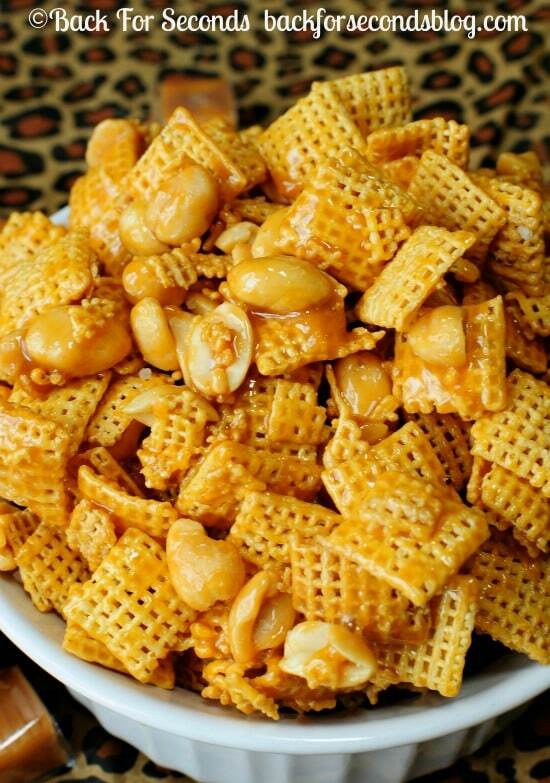 It’s a quick snack idea that satisfies both salty and sweet lovers. It’s no bake, which means it’s perfect for hot summer days when you don’t want to turn on the oven. It tastes like a Payday candy bar. Did I mention it takes just 5 minutes to make? That doesn’t ever happen with this Payday Chex Mix. It not only covers the salt and the sweet, but it has the perfect balance of textures too! 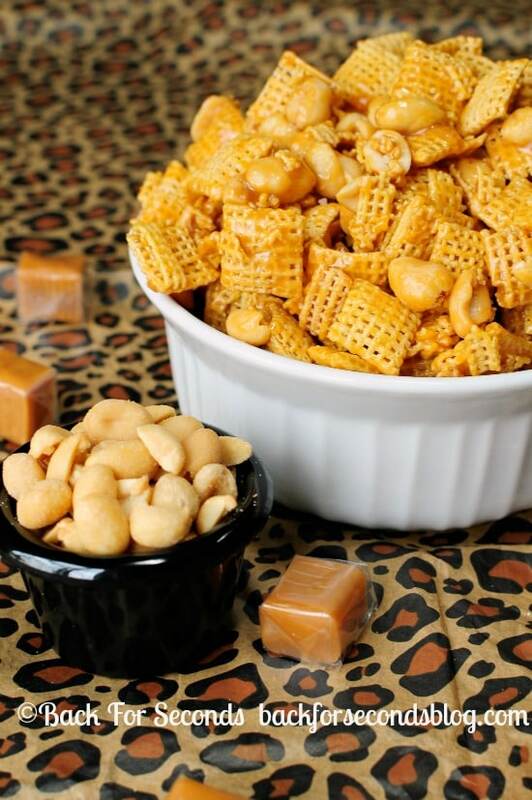 Crispy chex cereal, gooey chewy caramel, and salty crunchy peanuts. You just can’t go wrong here, kids! Stephanie.. oh my goodness.. hand over the bowl!! This was a huge hit at my foot party yesterday! So simple and easy to make. Had to give the recipe to several people. Thanks for sharing! Will definitely make it again! The taste was good, but mine never got “unsticky” and was a bit of a mess to eat. Is that how the recipe is supposed to be? They do stay slightly sticky, but they shouldn’t be messy. Maybe add a bit less milk to the caramel next time, that will help with the stickiness. Wish we could purchase Chex cereal here in the UK. My daughter who has coeliac disease loves them! !